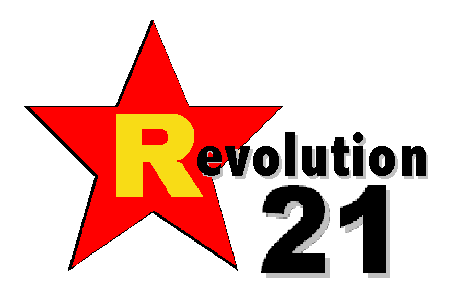 EDITOR'S NOTE: Revolution 21's Blog for the People continues an occasional series of dispatches recorded some years ago in the trenches of Catholic radio. The names aren't real, nor are the places, but the stories are -- and it's a snapshot picture of what happens when "Their zeal consumes them" meets "Sinners sacrifice for the institution, not vice versa." In other words, there has to be a better way. This look back at my dysfunctional life at Pope FM requires a little stage setting. In other words, it's all Josefina Loza's fault, what with her mentioning in the Omaha World-Herald that, indeed, there is such a drink as an "Irish Car Bomb," and that people, you know . . . drink them. This caused howls of protest from some members of the local Irish-American community, and a persistent mau-mauing campaign on the part of some local outfit, the Irish American Cultural Institute. That drink will make some heads explode. And probably not yours. 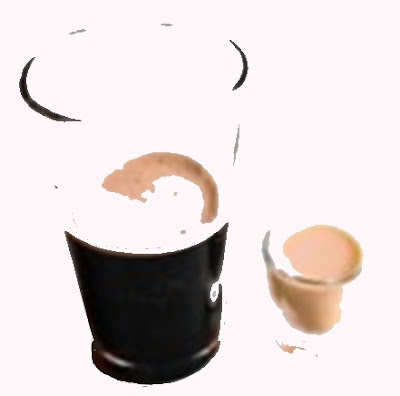 The 31-year-old concoction made up of Guinness stout, Bailey's Irish Cream and Irish whiskey makes many traditional Irish-Americans crazy. They hate all it stands for: The name makes light of serious historical and current events, and the potent cocktail glorifies drinking on a holiday they say has somber significance. St. Patrick's Day drinks described as Irish Car Bombs are “tasteless” and “culturally insensitive,” said Chuck Real of the Irish American Cultural Institute in Omaha. He was shocked that such a cocktail existed in Irish-American pubs. He also isn't happy that people make Irish Car Bomb cupcakes and cakes such as those featured on today's Living cover. To Real, the name conjures up memories of unrest in Northern Ireland. Car bombs sometimes were the weapon of choice, and many believe that the Provisional Irish Republican Army was responsible. Bombings still occasionally happen Real cited three bomb threats in the past five years. They aren't funny, he said. They're lethal. “St. Patrick's Day to the older generations and to those in Ireland has always been a day of obligation,” Real said. After last week's reference to the drink, Real received a handful of calls and e-mails from members of his group. Kathleen McEvoy became so upset and short of breath that she had to use her oxygen tank to finish her conversation, he said. I'LL TELL YOU how I feel now. I feel like I've just waded through one of the biggest piles of bulls*** I've ever encountered, what with all these Irish eyes a-cryin'. No, a comparable argument here would be that al-Qaida or the Taliban would be upset if we named a drink for their proudest accomplishment. So long as the drink were a Shirley Temple, they'd probably be elated. Basically, here, local Irishmen are playing the victim card because their long-lost cousins back in Ulster became so notorious for being al-Qaida before al-Qaida was al-Qaida that some enterprising Connecticut barkeep, back in 1979, named a concoction of Guinness, Irish cream and Irish whiskey after the Irish Republican Army's marquee weapon. Remind me to shed a tear as I play the world's smallest violin in honor of bruised Irish sensibilities. ANYWAY, that's the inspiration for this latest installment from my, er . 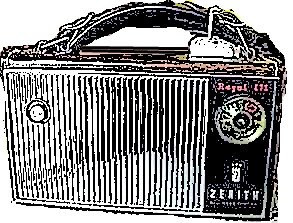 . . interesting radio past at Pope FM, a time and place that seems like an alternate universe far, far away. You won't believe it, but I swear to God it's true. The names, etc., have been changed . . . to protect the guilty. About a month or so ago, our program director, "Manic" Don Lawlor (note the last name), cold-cocked me by dumping a phone call on me to schedule an interview taping. The call was from Mike O'Malley, local contact for the Irish Northern Aid Committee, which was sponsoring a fund-raiser for the Sacred Heart Girls Primary School in North Belfast. "What is it about that group?" I recall thinking at the time, "It rings a bell." Anyway, Father Seamus Boyle, Passionist pastor of the parish, was going to be in Kansas City to receive an award from the Ancient Order of Hibernians, and "the Irish Northern Aid Committee" was bringing him up here to raise money for his school, which you may remember was the focus of violent protests by Protestants, who were trying to keep the children from accessing the school through a Protestant neighborhood. I smelled a rat somewhere, so I told the guy I'd tentatively pencil them in for today at 1 and refer the matter back to the program director. So after I got off the phone, I did a Google search for the "Irish Northern Aid Committee" and came up with its more well-known moniker, Noraid. And various news items, etc., indicating that Noraid had been forced in the mid-'80s by the U.S. government to register as an American agent for the . . . IRA. And that Noraid has been accused widely of funneling money and weapons directly to IRA terrorists. Etcetera, etcetera and so on and so on. So, I dutifully printed all this stuff out, plus some background articles about the protests and told the program director, Manic Don, that Noraid stank to high heaven, was an IRA front, and that while Father Boyle and his school certainly were of interest, under no circumstances should there be an uncritical, PR puff-piece interview. I said that it might even be useful to include a Protestant churchman knowledgeable about Northern Ireland in the interview and turn it into a challenging dialog. But under no circumstances, I said, should we be turned into an uncritical PR conduit for terrorist sympathizers and the ethnic and spiritual poison that breeds them. Predictably, my idiot program director shoved all the cautionary material into a drawer and blew me off. Fast forward to Friday. The Noraid flack shows up at the station unannounced and asks Manic Don whether the interview is still on. He says yes, and O'Malley, the Noraid flack, gives him a Noraid flier for the fundraising event, which Manic throws on my desk. I come in to work a few minutes later, find this on my desk and very nearly blow a gasket. I write IRA on it in black magic marker and give it back to him, once again advising that we not allow IRA sympathizers uncritical PR on Pope FM, even though they've found a useful idiot to legitimize them in this beleaguered priest. So, when I came into work today, I pretty much knew what I would have to do. So, about 1:30, in comes the Noraid guy with Father Boyle in tow. I recognized him from TV and the Internet stories. Manic Don Lawlor and our development and public-relations director give them the nickel tour and go in to talk about the interview. I hear Manic Don telling them that we "don't want to ruffle any feathers" and "don't want to get into politics." I said the fact that Noraid was sponsoring the priest's visit couldn't be ignored, and asked what kind of "peace prize" was going to go to a priest who'd associated himself with reputed IRA gunrunners. I asked him whether the Hibernians would give Father a "peace prize" if he'd been protecting little Protestant girls from a Catholic mob, of which there were just as many in Ulster. Finally, I told him that, in conscience, I could not and would not engineer for the interview, and that I already had enough to answer for before the Judgment Seat and didn't want to add that to the list. I also told him that, as a convert with Scots-Irish ancestors on my father's side by the name of McShane, IRA thugs probably had killed at least a few of my distant kin. I then walked off, leaving Manic to engineer the interview (which would be conducted by our development guy) himself. So, I spent 30 or 45 minutes in the lobby talking to our contractor's foreman and our secretary, who seemed genuinely troubled when I told her the score. I added that if I were in Northern Ireland, I'd likely be dead meat if I crossed the Tiber (converted) in one direction or the other. Later, Manic Don and our development guy complained to the GM about my refusal to engineer the interview. So the GM, Ken, tried to smooth things over and said the station might use the interview on our soon-to-be-resurrected talk show Living in Grace, but that they'd have one of our Irish diocesan priests on to talk about the situation in Northern Ireland. I told him the same thing I'd told the program director, adding that as a convert, I thought I had a different and valuable take on the subject and that, in the wake of 9/11, we should keep 10,000 miles away from any group that had any ties to terrorists past or present. He then moved on to trying to allay some other concerns I'd had about our underwriting practices. But then -- damn! -- he just had to go. So I caught him before he walked out the door and told him that by wanting to run that interview, we were in the political and moral quicksand now, and that any airing of that had to be as part of an honest, critical, hard-news look at the situation or I wasn't going to be having anything to do with that particular Living in Grace, either. He said he had to run, but that he'd "have a talk" with me about it.